A toilet has been an essential item in any bathroom for centuries and there are so many different varieties when you think about. There are toilets that are made from a hole in the ground, then there are those with a flush mechanism, such as the toilets we have in our bathrooms today, chemical toilets and portable options. Of course while I could probably write about toilets throughout the centuries and the different options available, you’re not going to be mounting a hole in the ground in your new bathroom design. 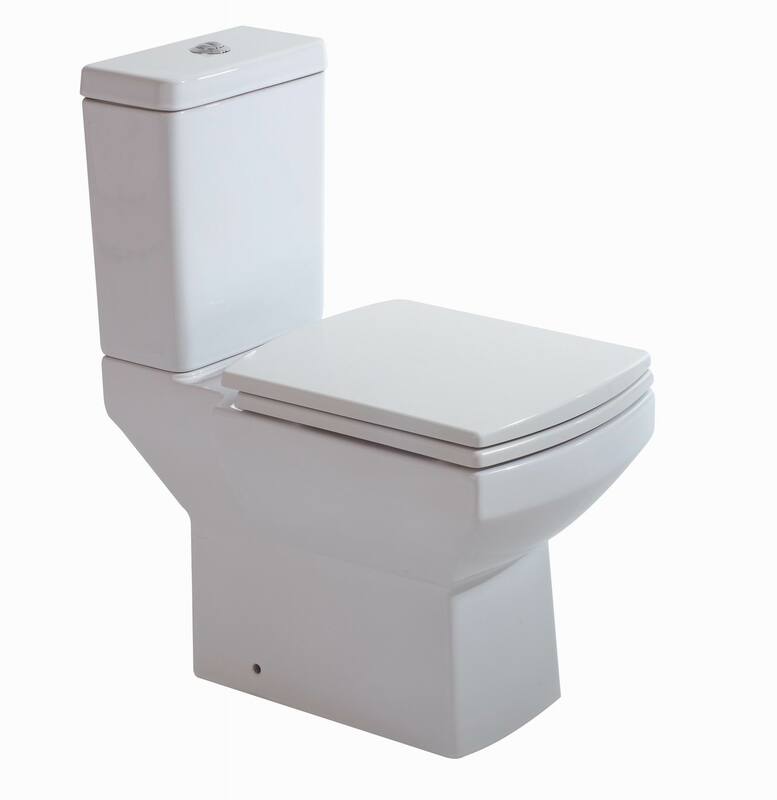 You want a toilet that is modern in design, stylish and that will blend in with your overall bathroom style. I’m using the term “basic toilets” for those toilets we all know and recognise, those with a cistern attached to the back and a flushing mechanism. These days there are a variety of fantastic designs available from the oval choices that we all know so well to the stylish square designs. When looking at toilets you’ll want to take your overall bathroom design into consideration. If you have chosen bathroom items with gentle curves or rounded shapes then choosing the Emma, Forma, Pensato or Dale design will ensure that your toilet blends in perfectly. If you are designing a modern bathroom with plenty of straight edges and square designs, then you want your toilet to carry on that design throughout the space such as the Qube, MacQ, Nanno and Lisa designs. Another option is the back to wall toilet, these are a great choice for compact bathrooms and ultra modern bathrooms where you are going for that minimalist design. Back to wall toilets also use the cistern and flushing mechanism that we know today, but it’s been done in a highly sophisticated way. Basically your toilet bowl and pedestal are mounted directly on the wall, this gives you more space in your bathroom and leaves the space looking stylish and elegant. It’s what is happening behind the wall that counts. Behind the wall you’ll have a mounting block that will secure the toilets to the wall and then your cistern is also mounted, hidden from sight. Your flushing mechanism can be mounted on the wall behind the toilet allowing you to push a button and your toilet will flush with ease. These toilets are firm favourites in the more modern bathroom designs, available in a choice of shapes and helping you complement your bathroom space with ease. Everyone uses the toilet, they are items in our homes we just expect to be there and with Christmas being just around the corner and guests coming to stay in our homes, these household items will be used more than ever before. Did you know that the average person uses the toilet 2,500 times a year? That is three years of your life you spend with your toilet. The funniest fact is that there is someone out there in the world that made a toilet paper wedding dress. Now I know toilets are an important part of our lives and we cannot live without them, but this is taking it a little too far wouldn’t you think? King George II had an accident in 1760 and fell off the toilet, this accident resulted in his death. Except for the film “Psycho” I never dreamed toilets could be linked with fear and danger. 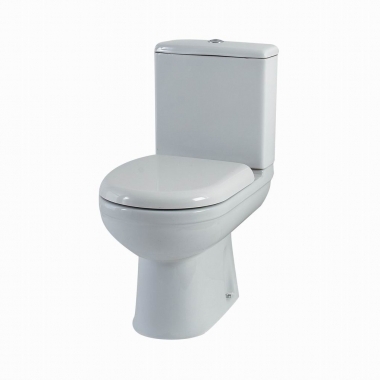 Flushing toilets were invented in 1596, the first one was invented for Queen Elizabeth by Sir John Harrington. We are so lucky we live in the era we live in because toilet paper on a roll was only invented in 1890, before that toilet paper was just a sheet of paper with the first toilet paper being used as far back at 1391AD. When it comes to toilets you wouldn’t think there would be so many interesting facts, but between the toilets themselves and the toilet paper there are a number of great facts including the fact that there we use an average of fifty seven sheets of toilet paper each and every day. A good fact to know is when you walk into public toilets the first cubicle is the one that is least used, so head for this one when you can because it’s guaranteed to be cleaner. Now if you are a woman you probably love jewellery, but would you consider a gold toilet? There is a twenty four carat gold toilet, considered the most luxurious in the world, located in the Hall of Gold in Hong Kong. The last interesting fact you may have never known about toilets is that the average life span of a toilet is fifty years. That’s really not bad going when you are remodelling your bathroom and don’t want to choose a more expensive toilet because you’re worried it will be money wasted. Now you know your toilet is durable and will last for many years. Today is World Toilet Day. World Toilet Day is celebrated on the 19 November every year since 2001. You may wonder why we would celebrate something we are so used to having in our homes such as a toilet, but there are billions of people around the world that do not have access to this convenience. Did you know that women are more susceptible to attack due to the fact that they don’t have a lockable toilet to use and need to go in the wild, so to speak? Interestingly the first toilet cubicle in a public bathroom is the least used, what this means is that it’s the cleanest. So next time to use a public bathroom, be sure to head to the very first cubicle. The most toilets are flushed at the same time is during the Super Bowl half time when everyone around USA heads to the bathroom at the same time. 2,500 times a year – that’s the average number of times you will use the toilet, that is around eight times a day for the average person. That’s a lot of time spent in the bathroom. The shocking truth is that this equates to around three years of your life, three years you spent using the toilet, now that’s a fact I bet you didn’t know. The average person will use up to fifty seven sheets of toilet paper each day. That is a lot of toilet paper used each year. 2,5 billion people around the world do not have access to a toilet. These people are forced to go in the bush, they are more susceptible to being attacked and contracting disease. This is the main reason that World Toilet Day was introduced to improve sanitary conditions around the world. Finally, the last fun fact is that 40,000 Americans are injured by toilets each year. How I cannot explain, but this is one fun toilet fact that won’t be forgotten in a hurry. Now that you know the truth about the toilet on this annual toilet celebration day, you must be so pleased that you live in a country where you have a working toilet in your bathroom both at home and at work. Never mind here in the UK there is such a wide selection of toilets for you to choose from, you can choose your toilet according to your bathroom design and not think twice about it, while there are billions of people in the world that have never used a toilet in their lives. Interesting fact, definitely.